KAMPALA. Lands State minister Persis Namuganza has vowed to expose what she described as hypocrisy and impartiality of the commission of inquiry into land matters, adding she is ready to go to jail if found guilty of interfering in land wrangles. The minister also alleged that the commission chairperson, Justice Catherine Bamugemereire, is being used by her political rivals in Busoga to damage her reputation. 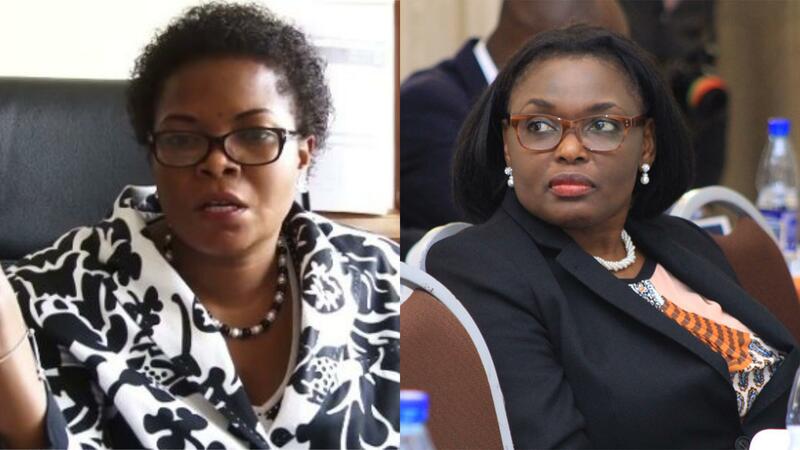 The comments, made on her Facebook post, also allege her rivals also fought her in parliamentary committees but failed and are now using Justice Bamugemereire. On Friday, she also vowed to keep defending the rights of those aggrieved in land wrangles even when the Commission interferes. “I told my husband that I am ready to be taken to prison because once you become a public servant, you are subjected to anything. And if they take me to the courts of heaven, that is even better. God is fair and he will look at them and say that this woman has no problem,” she told journalists at her office in Kampala on Friday. Ms Namuganza’s fresh outburst comes a week after she was quizzed by the Commission in connection with how she introduced two purported landowners in Mubende District to the Presiden who ordered compensation paid to them yet the land in question was under dispute. However, the minister told off the commission that she couldn’t abandon the responsibility given to her by the President to intervene in the matter. Besides, she said the matter falls under her docket. “Now you the commission that has just come, you even say that the minister of Lands shouldn’t step in State House to take people or to attend any land meeting. Even here, they used to call me, asking me why the President doesn’t invite the commission for land meetings. Can you imagine?” the minister said. “Why would you call the minister whom the President moved with and assigned him to follow-up the matter, asking me why I took people to the President without informing you as if I am the one who told the people of Mubende to petition the president? The way they [Land Commission] have been conducting themselves is as if they subdued the ministry and it no longer exists,” she said. The commission which is chaired by Justice Catherine Bamugemereire was instituted last year by President Museveni to inquire into the effectiveness of the land law, policies and processes of land acquisition and management in Uganda.